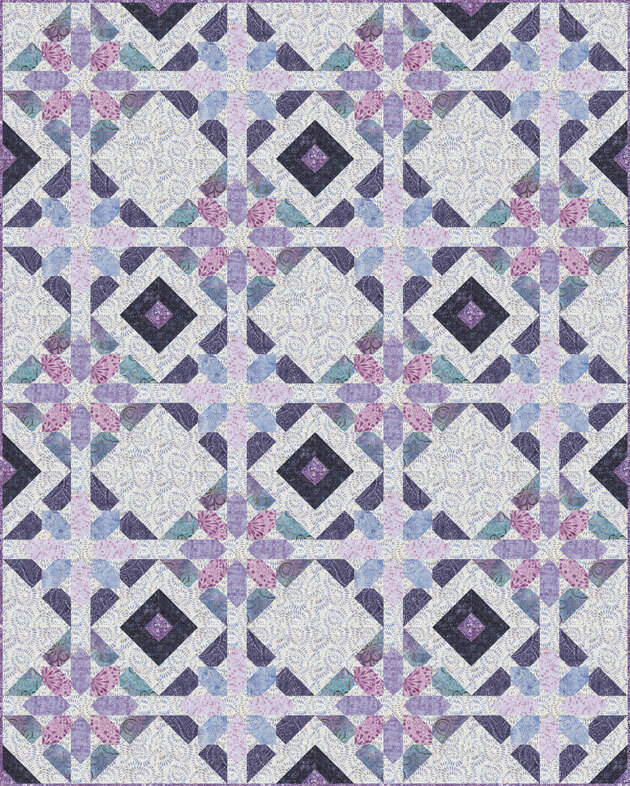 Light blue abstract floral medallions and fern fronds tightly packed across a galaxy blue and purple batik background. There’s something magical about batik fabrics! Fill you next project with bewitching colors, mesmerizing patterns, and beautiful batik stylings with this fabric collection.